New Delhi : The government had bailed out Air India but not Kingfisher Airlines (KFA), beleaguered industrialist Vijay Mallya said. "Government bailed out Air India, but did not bail out KFA. So much for favours," recalled Mallya in a series of tweets, three days after the market watchdog Sebi barred him from trading in securities with six others. And KFA being the largest domestic Airline was the worst hit. Government bailed out Air India but did not bail out KFA.So much for "favours"
The then UPA government had in April 2014 announced a Rs 30,000-crore bailout package to the loss-making state-run Air India till 2020 by way of capital infusion, hiving off its engineering services and ground handling business. Incidentally, Kingfisher grounded its services across the country in October 2012 after the civil aviation regulator Directorate General of Civil Aviation (DGCA) suspended its flying licence. The flamboyant 61-year-old Mallya, however, is reported to be in Britain in exile since he left India on March 2, 2016 after the consortium moved the Debt Recovery Tribunal in February 2016 to expedite the hearing on its recovery petition. 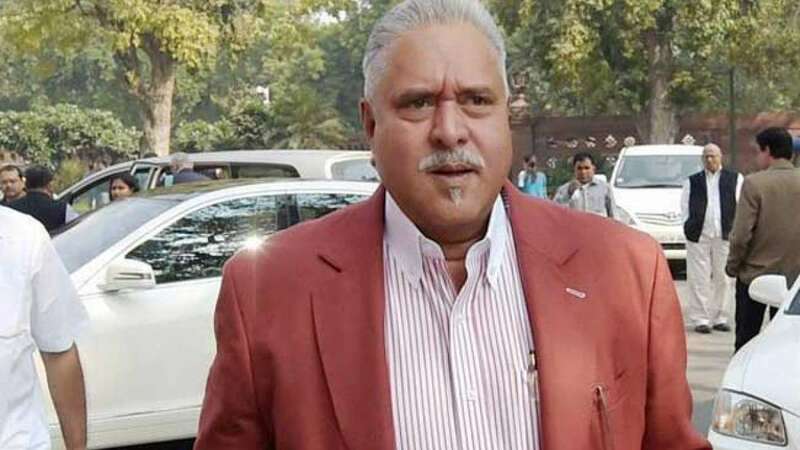 The Tribunal on January 19 this year ordered attachment and recovery of Mallya's properties for defaulting on bank loans by Kingfisher. Allowing a joint petition filed in June 2013 by a consortium of 17 banks led by the State Bank of India (SBI), the Tribunal's Bengaluru bench said properties of Mallya and Kingfisher worth Rs 6,203 crore ($909 million) be recovered from them with 11.5 per cent interest per annum since July 26, 2013 over unpaid loans. Claiming that his now-defunct airline was the worst hit despite being the largest and finest in the domestic sector then, Mallya said he had begged for help (from the government) not in terms of loans but policy changes such as giving goods status for (aviation turbine) fuel and flat rate of state sales tax instead of ad valorem on it. "KFA collapsed with oil at $140/barrel and state sales tax on top of rupee devaluation. No FDI (Foreign Direct Investment). Engine failures. Economic depression. Need more?" recalled Mallya. KFA collapsed with oil at $ 140/barrel and State sales tax on top Rupee devaluation No FDI Engine failures. Economic depression Need more ? Asserting that not one rupee was misused, the KFA chairman said he and his holding (United Breweries) group had invested Rs 4,500 crore in the grounded airline and two of his group companies settled dues just before the airline sought fresh loan from IDBI Ltd.
"I was interrogated by the CBI and submitted documentary evidence," noted Mallya. Was interrogated by CBI and submitted documentary evidence.Not one Rupee was misused.On the contrary we invested over 4500 Crs into KFA. Admitting that he was humble enough to say sorry to employees and all stakeholders every day, the tycoon said he really wished the government helped him as his airline sadly failed purely due to economic and policy situations. "I was not allowed to even downsize KFA due employment and connectivity. If my lifestyle was lavish it was for two decades before KFA was even born. My core alcohol businesses were severely controlled by the government," added Mallya. Accusing the media, especially some English news channels, of distorting facts for sensationalism, Mallya told them to do due diligence and asked why CBI was not saying what UB had invested in KFA. "Before slamming me on TimesNow, CNN News18 and NDTV, ask CBI and SEBI some tough questions on what proof or evidence they have to allege fraud," dared Mallya. Before slamming me @TimesNow @CNNnews18 @ndtv ask CBI and SEBI some tough questions on what proof or evidence they have to allege fraud. Advising the news channels not to get carried away with one-sided allegations, Mallya told them to ask tough questions (to the concerned authorities) to justify their allegations. "TV anchors in India have become vociferous public prosecutors influencing public opinion. I only hope that our esteemed judiciary rises above," reiterated Mallya.